An SLR or (much preferably) a DSLR or any camera that you can control the shutter, aperture and ISO. Once you’ve found your lightning storm, set up the camera and tripod. It’s usually easier to use a wide angle lens because you’re never quite sure where the lightning will be. Now this is the most important part: You want to shoot with as long of a shutter speed as you can. 4 seconds is good, 30 seconds is much better. As soon as everything is set, start shooting successive photos, whether there is any lightning or not. You might end up shooting 10 or 20 or 100 frames before there is another lightning strike, but if your shutter is open for 30 seconds and there’s a lightning flash anytime in that 30 seconds, you’ve got it! 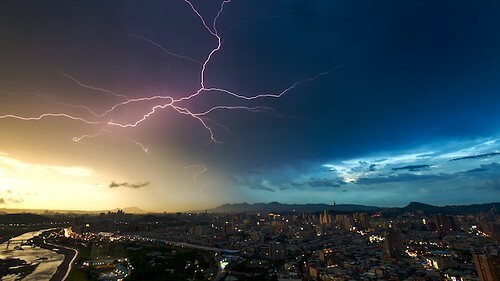 An electrical storm lingers over Taipei, Taiwan. This photo was shot just before dusk, when it was still pretty light. I had to shoot it at f/22 to be able to get a 3 second shutter speed. Some more technical tips: I can’t emphasis enough how important it is to shoot with the longest shutter speed that you can. The easiest way to do this is to shoot at night. That way, you can set your shutter to 30 seconds and adjust the aperture and ISO to properly expose the foreground. If you’re shooting at twilight or during the day, you’ll need a few tricks to limit the amount of light that’s making it into your camera. First of all, set your aperture to it’s smallest setting (biggest number) – f/22 or smaller. Next, set your ISO to the smallest number (100 is better than 200). If you still have too short of a shutter speed, try a neutral density filter – this filter is a type of “sunglasses” for your lens. It allows you to open the settings a stop or more. (If you were shooting at 1 sec, now you could shoot at 2 sec, etc) They come in different powers, -1 stop, -2 stops, -3 stops, etc. Use a cable release to minimize camera shake. Lock up the mirror, if your camera has that feature. If your camera has “long exposure noise reduction,” turn it off. Using this feature causes the time in between photos to take longer. On my camera, if I leave it on, I’ll take a 30 second exposure then have to wait 30 seconds as the camera processes the noise reduction. This is obviously bad if the lightning strikes during that 30 seconds that the camera is processing. If I turn it off, I can take another photo instantly, and apply noise reduction later, in post processing. Shooting lightning can be frustrating, but will definitely reward your patience with dramatic results. Good luck, and don’t stand near any big metal things! Learn lots more about lightning at Wikipedia! I’ve read a few tutorials on this but have yet to try it, great pics! Carbon fiber tripod might be a good choice here. I’d stay away from the giant gitzo mounted so high you’re standing on a ladder to see through your viewfinder. Great post Neil. W Philly doesn’t offer a whole lot of opportunities for shooting lightning. First and only time I ever got to do this was in OCMD. Storm was approaching from the north so I was able to get set up and nab some decent shots…downside was that i didn’t think through the noise reduction part and missed on some stellar strikes. Live n learn. Keep em coming. Actually, in that pic from Laos, I was scared to turn off the noise reduction too. I think I missed 3 good strikes, but ended up with that one. 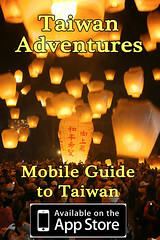 Here in Taipei we don’t get many either, maybe a few a year… I just got lucky with that one a few weeks ago! NIce stuff Neil, thanks. By chance, is the first photo hanging at KGBs near Shida? I have a vague memory of seeing a similar shot there. Great article and pics. Thankyou. Another thing that I would point out is that A. The heavier the tripod the better, for a 30 sec exposure a heavy tripod will make a difference, if you’re on anything that was man made, besides bare ground there is the possibility of shake. A heavier tripod will minimize that. Another thing is that you dont neccasarily need a cable release, you can just set your camera on a timer, and that will greatly reduce shake. Although this will increase the amount of time in between shots so you have more of a chance of missing the lightning strike. You’re right. The heavier the tripod the better. I think a lot of people don’t realize that a good tripod is a lot better than a cheap one. The only problem with using the timer is that you can’t set the mirror to lock up (at least with Nikons). The other day I was trying to get some lightning shots during a storm midday, but even with the apurture at F/22, I had to have the shutter speed at less than one second to avoid a completely blown out shot. As you can imagine, I missed every strike. Now, I did make the mistake of having my ISO at 200 and maybe that was part of the reason but what else could I have done to be able to use a 15 sec exposure time and not have everything all blown out? If you can turn the ISO down to 100 or lower, do that. The next step would be to use a neutral density filter. They come in various powers: usually they are called .3, .6 or .9. A .3 will drop you exposure 1 stop, a .6 two stops and a .9 three stops. Here’s a link to lots and lots at B&H. 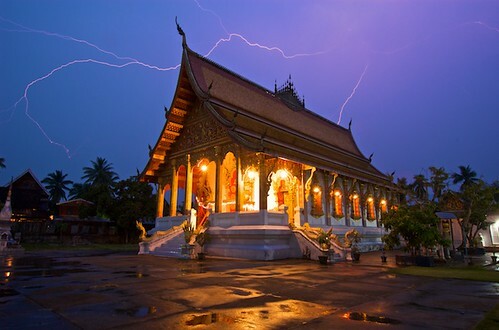 Here’s a dramatic collection of great lightning photos around the world.